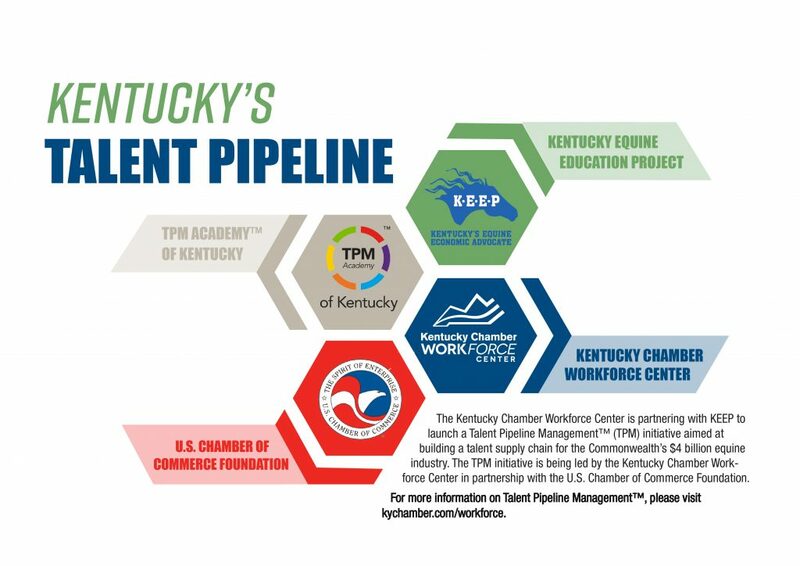 Lexington, Ky. (Wednesday, June 20, 2018) – The Kentucky Equine Education Project (KEEP), Kentucky’s equine economic advocate, announced today that it has partnered with the Kentucky Chamber Workforce Center’s statewide Talent Pipeline Management™ (TPM) initiative. As one of three state chambers of commerce chosen by the U.S. Chamber of Commerce Foundation to pilot this initiative, the Kentucky Chamber Workforce Center project will focus on creating a talent pipeline of qualified candidates for jobs in the fields of manufacturing, healthcare, construction and more. Over the next two years, the project will work with these key industries to develop strategies to meet Kentucky’s growing workforce issues. Recognizing that the horse industry is a unique and critical part of Kentucky’s economy, with an economic impact of nearly $4 billion annually and responsible for more than 80,000 jobs, KEEP and the Kentucky Chamber Workforce Center embarked on this partnership to address the job needs within the industry across the state. The Kentucky Chamber Workforce Center will hold meetings throughout the two year project to develop strategies to improve Kentucky’s workforce issues across six different industry areas, including the horse industry. Participating employers, employer-led associations and education providers will build partnerships while using a demand-driven concept in order to connect employees and employers. The Kentucky Equine Education Project, Kentucky’s equine economic advocate, is a not-for-profit grassroots organization created in 2004 to preserve, promote and protect Kentucky’s signature multi-breed horse industry. KEEP is committed to ensuring Kentucky remains the horse capital of the world, including educating Kentuckians and elected officials of the importance of the horse industry to the state. KEEP was the driving force in the establishment of the Kentucky Breeders Incentive Fund, which has paid out more than $141 million to Kentucky breeders since its inception in 2006, and pari-mutuel wagering on historical horse racing, which has been responsible for more than $32 million to purses and more than $24 million to the Kentucky Thoroughbred Development Fund. KEEP works to strengthen the horse economy in Kentucky through our statewide network of citizen advocates. To learn more about how you can become a member or support our work, please visit http://www.horseswork.com. 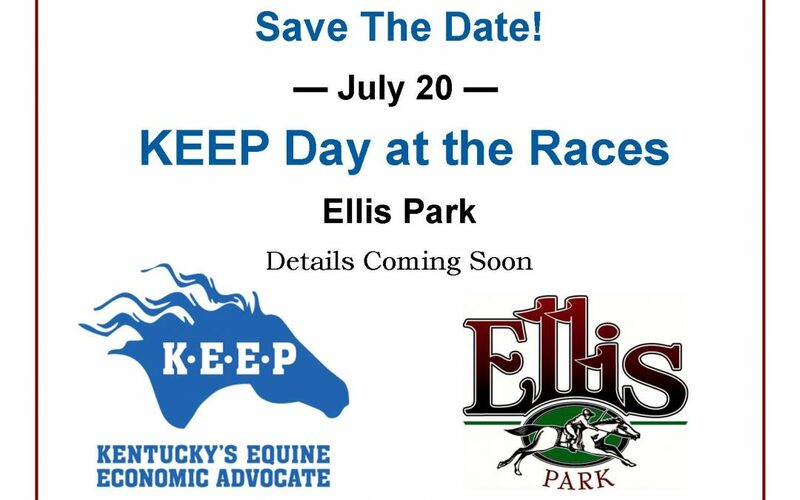 Visit the KEEP Day at the Races page for more information on the July 20 event. 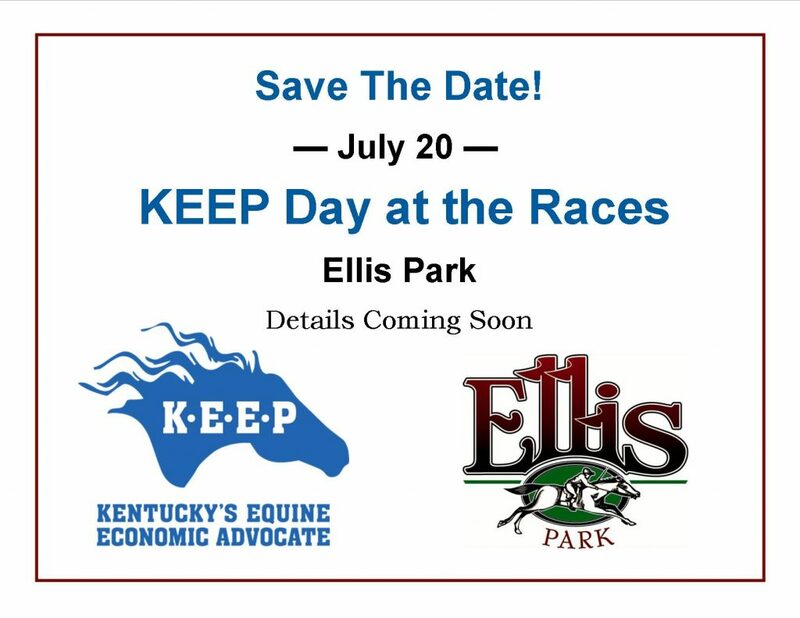 Lexington, Ky. (Wednesday, June 13, 2018) – The Kentucky Equine Education Project (KEEP), Kentucky’s equine economic advocate, announced changes and additions to the KEEP Board of Directors. Doug Cauthen, who has served on KEEP’s Executive Committee, is the new Chairman of KEEP’s Board of Directors. Cauthen is a founding board member of KEEP and is currently a partner of Doug Cauthen Thoroughbred Management, LLC. Cauthen’s wealth of experience in the horse industry and his role in shaping KEEP make him a natural choice as leader of the organization. Cauthen will be joined in leadership of the KEEP Board of Directors by Ken Jackson who will serve as Vice Chair. Jackson is a partner of Kentuckiana Farms and Lexington Selected Sales Company. Jackson also currently serves on the Kentucky Horse Racing Commission. Corey Johnsen, the immediate past-Chairman of KEEP’s Board of Directors will serve as Chairman of KEEP’s Legislative Committee. The Legislative Committee advises KEEP’s advocacy and policy goals. Additionally, four new individuals were added to KEEP’s Board: Kiki Courtelis, David Ingordo, Dan Real and Adrian Wallace. Courtelis is the CEO of Town & Country Farms and a member of the Kentucky Horse Racing Commission. Ingordo is a bloodstock agent for Ingordo Bloodstock Services. Real is Regional President of Caesar’s Entertainment, South. Wallace oversees Nomination Sales for Coolmore America at Ashford Stud. The Kentucky Equine Education Project, Kentucky’s equine economic advocate, is a not-for-profit grassroots organization created in 2004 to preserve, promote and protect Kentucky’s signature multi-breed horse industry. KEEP is committed to ensuring Kentucky remains the horse capital of the world, including educating Kentuckians and elected officials of the importance of the horse industry to the state. KEEP was the driving force in the establishment of the Kentucky Breeders Incentive Fund and pari-mutuel wagering on historical horse racing, both of which have greatly contributed to Kentucky’s continued success across all metrics in the horse racing industry. Travel to Ireland with KEEP!